This is my new best friend. I’ve had a miserable cold for almost a week now. I feel so junk. But I will be back. 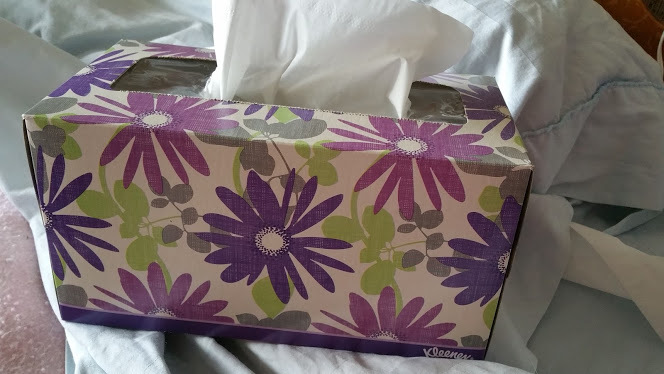 I couldn’t figure out what that image was on Instagram; now I see it is a box of tissues! Sorry; hope you feel all better soon. Thanks so much. Yeah, I bet it was hard to see on Instagram! I’m still sick, but think I may survive. Thank you… I haven’t been this sick in years. I did sleep better last night, and Nolemana got a humidifier, which also helps. Aisus, Moki-chan. There are nasty bugs going around. I’ve had friends with that awful cold, and I’ve had friends (and been that person) with the stomach bug that is short-lived, but very concentrated misery. Sending warm (virtual) hugs and (virtual) chicken soup your way. Mahalo, my sista. I think I will live now. Still really tired, but Kleenex isn’t my constant companion anymore. This was the cold from hell. Oxymoron, yeah? Thank you for commenting on my blog re: our recent trip to punalu’u. I live in Canby – not too far from you. I really enjoyed Oahu, staying on the windward side helped. Hope you feel better. I had been dealing with the crud from work for seven weeks and within a day – in Punalu’u, it was gone. Very relaxing. I still think about Giovanni’s Hot & Spicy shrimp. Thanks so much for stopping by. Yeah, the windward side would definitely help! I’m so sad that A Place To Be closed; my friend and I used to meet there for spinning dates. I’m really enjoying your blog, and it’s great to know where you are located.